MKB 16: Double Knitting for Comforters, etc. 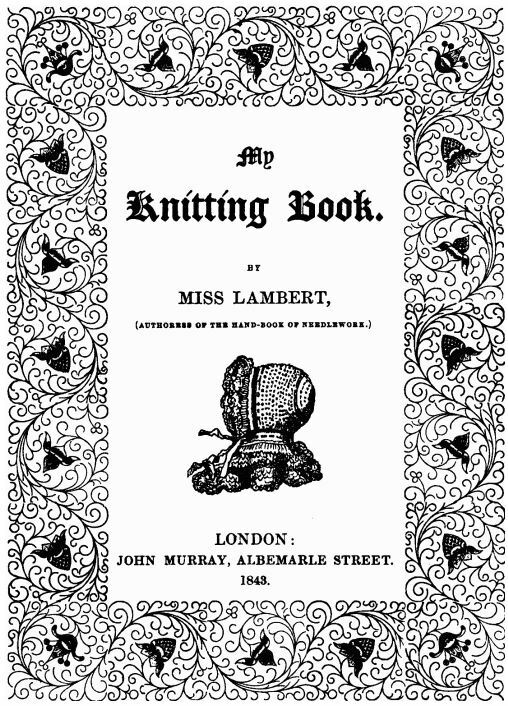 The sixteenth pattern in Miss Lambert’s My Knitting Book (First Series, 1843) is for Double Knitting for Comforters, etc. 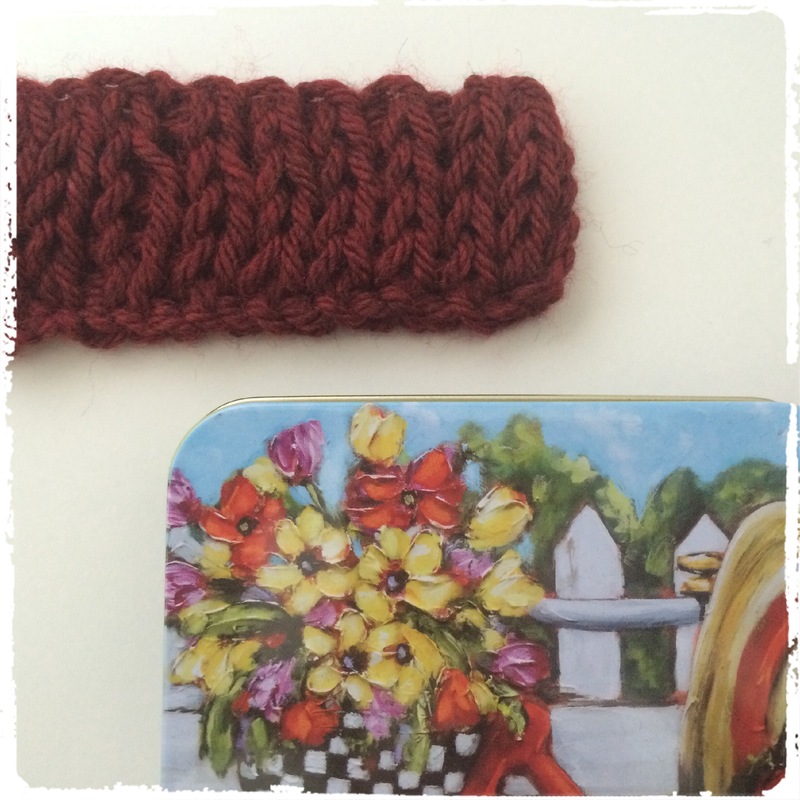 The pattern is for a basic double knitting stitch pattern using the same colour on both sides of the fabric. The fabric is reversible, and because it is one colour, the two sides of the fabric are only attached at the edges. It is worth noting that in 1843, a comforter was the term used for a woolen scarf. Double knitting would make a nice, warm scarf! Miss Lambert suggests using No. 1 needles and four-thread fleecy. These are equivalent to a needle size greater than 6.5mm (my reference for the Lambert Filiere equivalents only goes up to No. 4/6.5mm) and bulky yarn. First row—bring the wool forward, slip one; pass the wool back, knit one, turning the wool twice round the needle.—Repeat to the end of the row. Every succeeding row is the same.—The stitch knitted in one row, is the slip-stitch in the next. (My Knitting Book, 1843, p. 30). The stitch pattern is a little different from double knitting that I am familiar with because of the step of turning the wool twice around the needle. I found that, as a result, the gauge of the knitted fabric was quite loose, and I think it would have a nice drape when knit up as a scarf.